what admin panel are you using ? I am using phpmyadmin and it's easy to change. 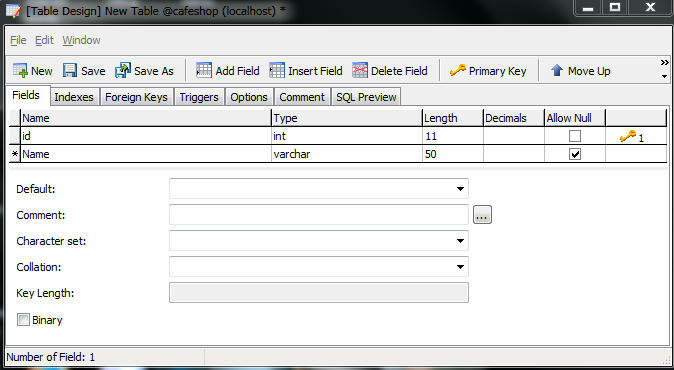 I am using navicat 8 for Mysql! According to your image , it's showing collection under the character set . it's base on your Editor. mySQL has a lot of admin tool. I am using phpmyadmin. Some people use mysql Workbench , Sequel Pro , command line. For phpmyadmin , it's in a browser. So, if browser can see myanmar font , it can also see. Choose Tools > Options > Appearance > Font. Under Font, choose/enter your preferable style/size in the Grid Font. Under Font, choose/enter your preferable style/size in the Editor Font. Under Font, choose/enter your preferable style/size in the Console Font.